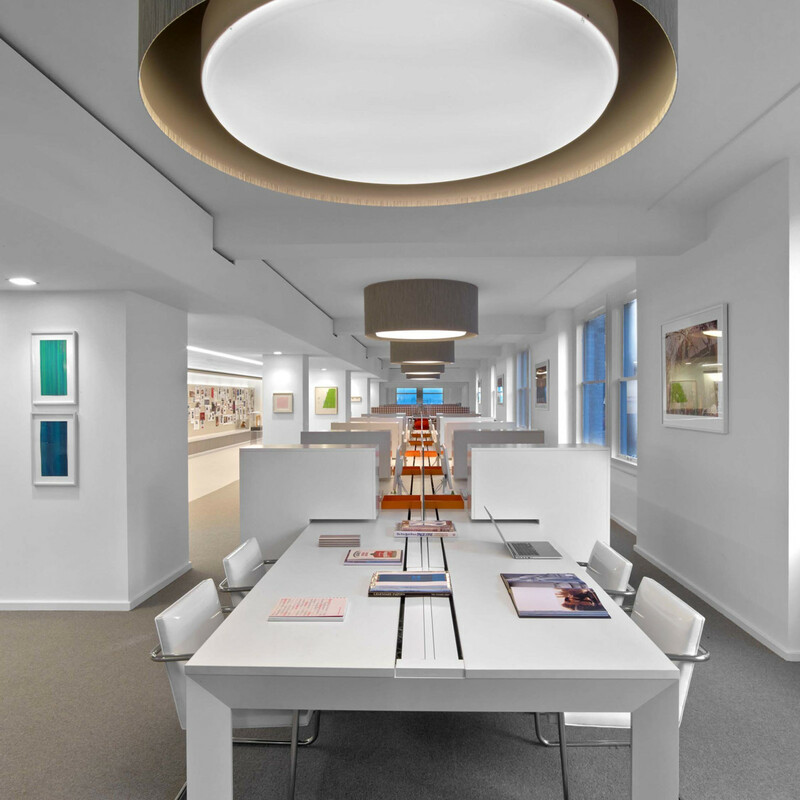 The team at Houston-based MaRS, Mayfield and Ragni Studio is kicking up its heels over the fact that their design for the Dancie Perugini Ware Public Relations office in the Niels Esperson Building was one of four small office designs highlighted in Interior Design's Best of Year Awards. 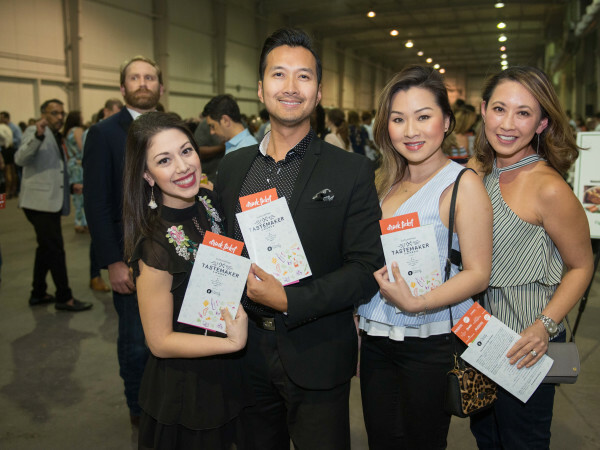 The announcement was made in New York earlier this month with close to 1,000 design industry leaders on hand. 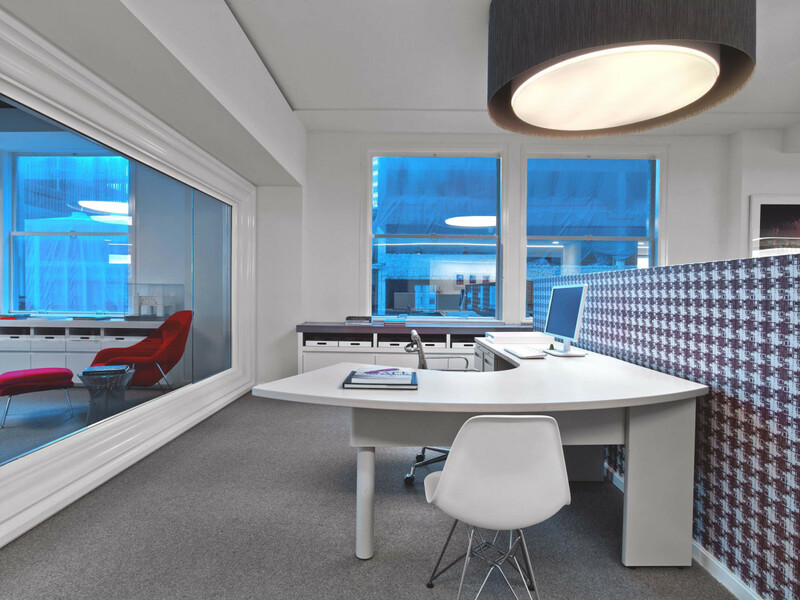 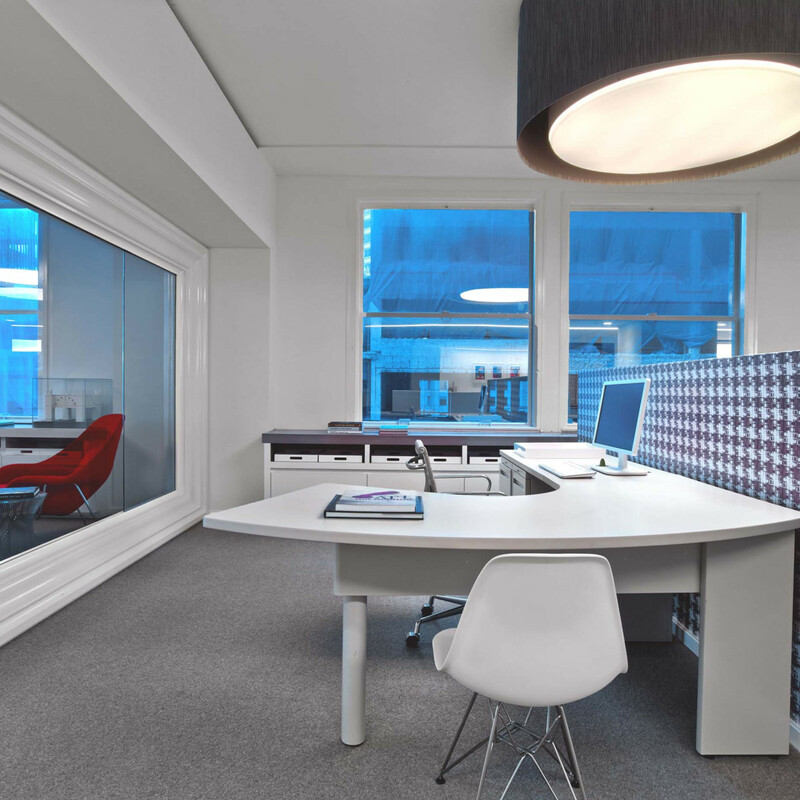 Taking the lead in the small office category was Vicland, a developer in Melbourne, Australia, that office created by the Australia-based design firm of Travis Walton Architecture. 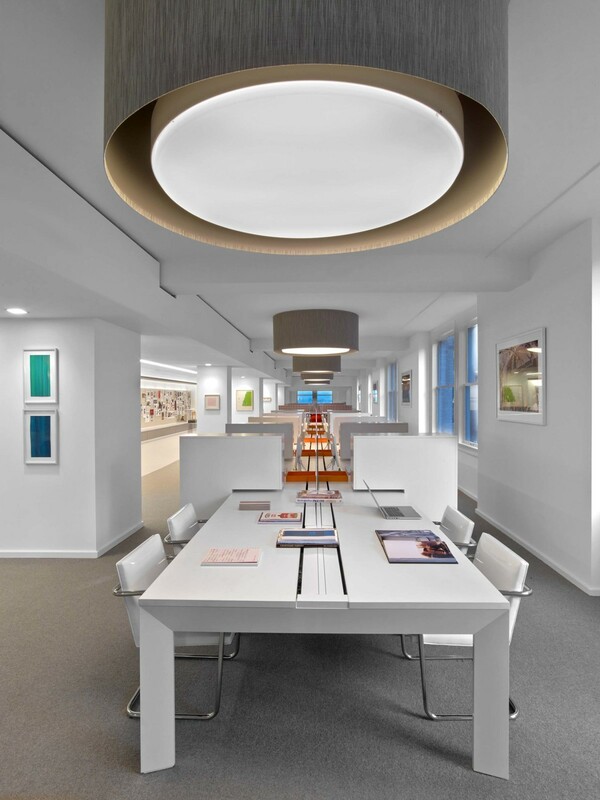 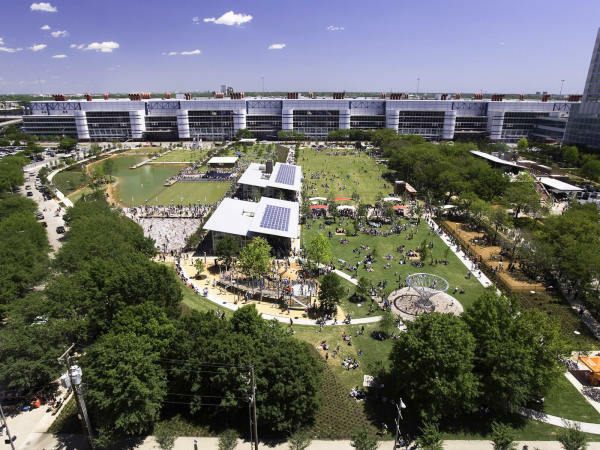 MaRS, Mayfield and Ragni Studio's DPWPR office also was honored last spring with PaperCity's top award for Commercial Interior Design or Architectural Design, Office or Public Space. 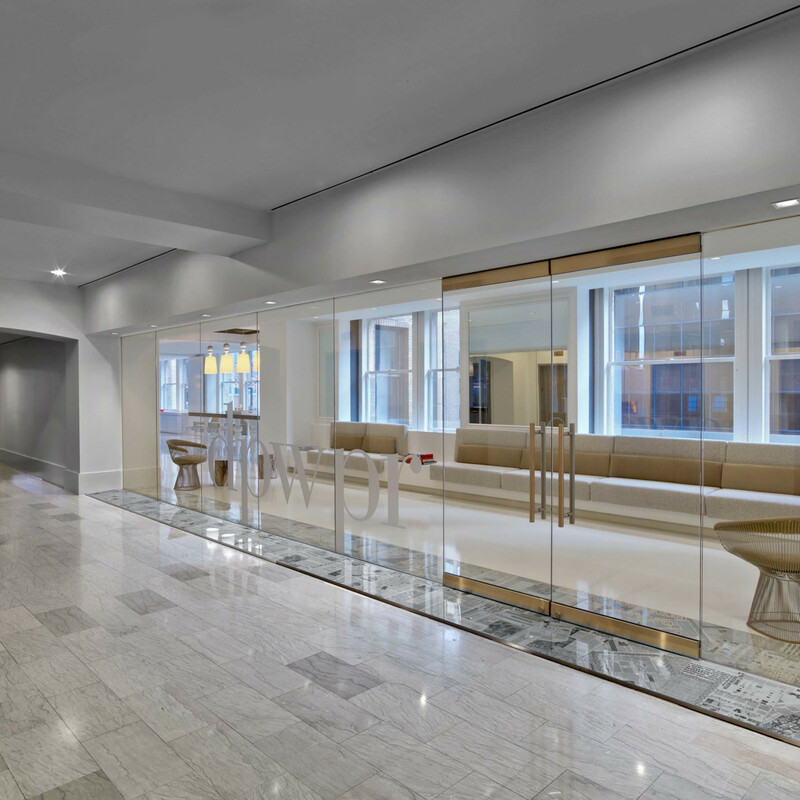 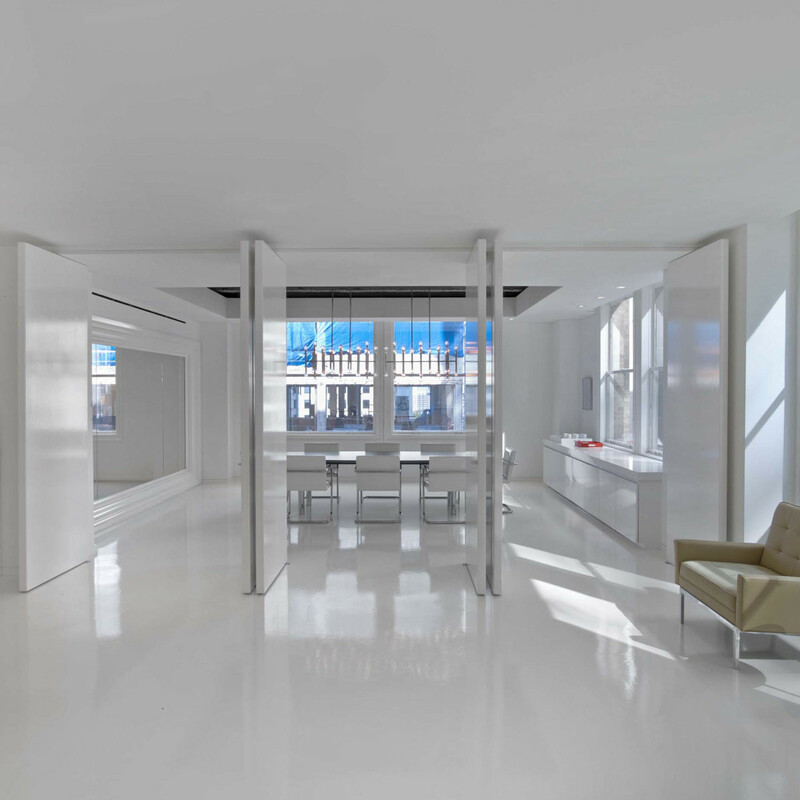 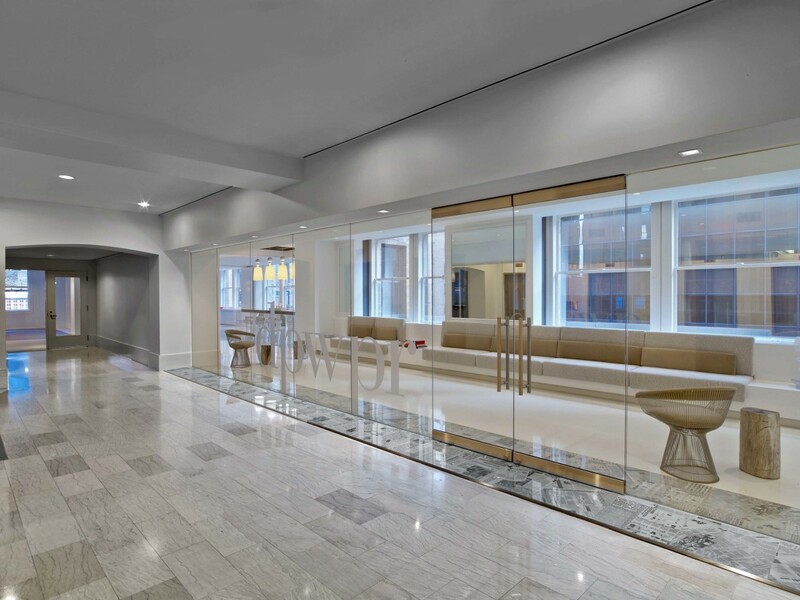 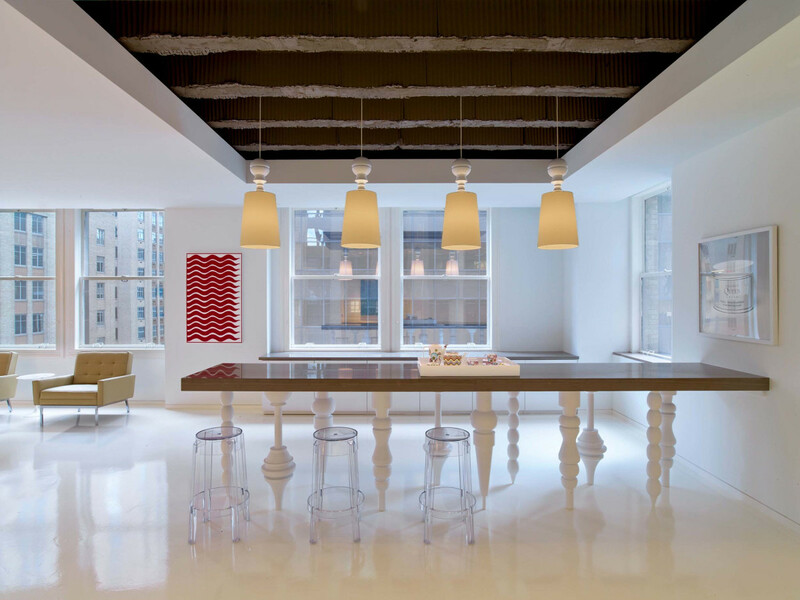 High-gloss white floors, walls and ceiling contribute to the sleek sensibility of the space that is separated from the elevator bank by glass walls. 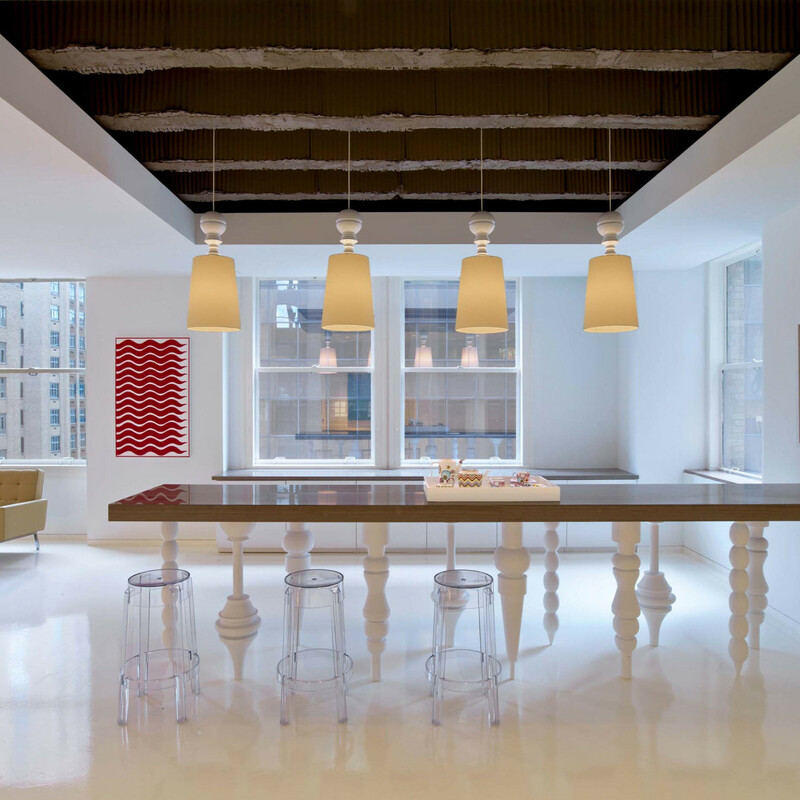 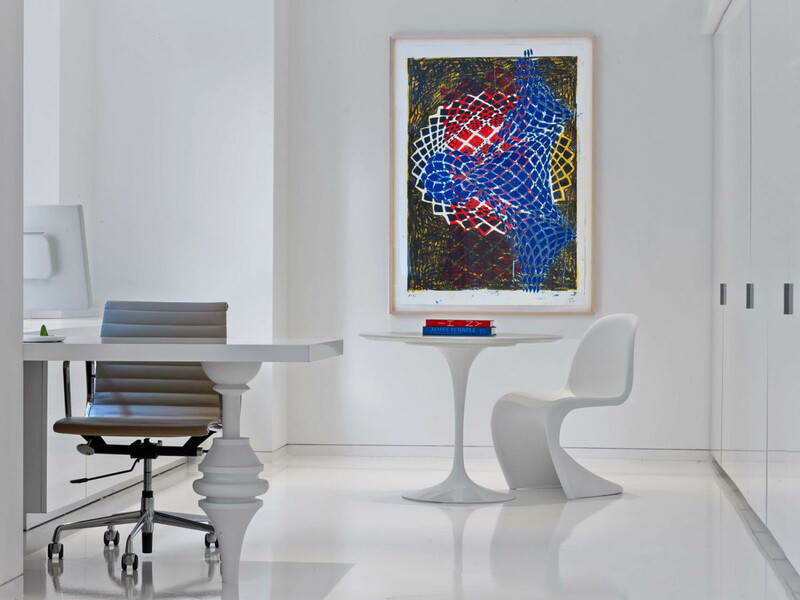 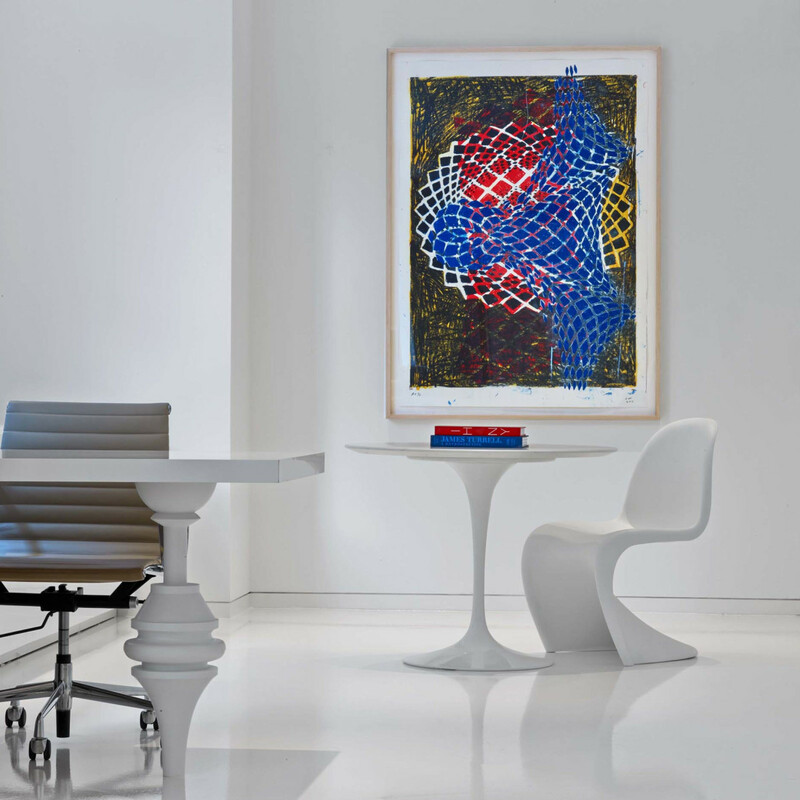 Contemporary artworks provide splashes of color throughout the office that is anchored in a corner perch on the 11th floor.